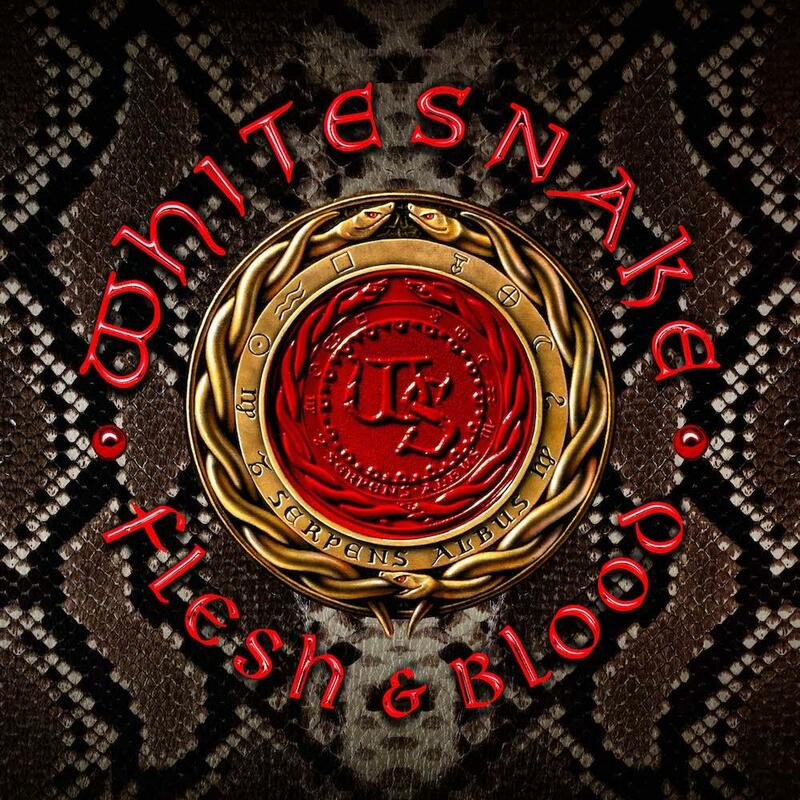 Δελτίο τύπου: «Fresh off celebrating their 40th anniversary, rock legends Whitesnake return with their latest studio album, “Flesh & Blood”. This album follows the 2011 critically acclaimed studio album “Forevermore” and 2015’s “The Purple Album”, a reimagining of Deep Purple classics from Whitesnake mastermind’s David Coverdale’s time in that band. The 13 original, visceral tracks on “Flesh & Blood”, the band’s 13th studio album, are, luckily for you dear reader, “all killer, no filler”, as the saying goes. But would you expect anything less from the ’Snakes? David Coverdale, the mastermind behind Whitesnake & co-composer of 'Shut Up & Kiss Me' with guitarist Reb Beach, commenting on the forthcoming release said "that after the intense darkness of our last video BURN If anything, it’s ‘light’ snake, you know? We’ve got some really dark energy going on in the world right now, so we’re gonna write & record a fun, knees up, song about falling in love with a fabulous babe. You’re over-talking, over-compensating & she just looks at you, takes the reins & says, 'Shut Up and Kiss Me!' and that’s it!! My video director and creative partner Tyler Bourns and I discussed a great storyline for the video, which involves a surprise guest: my fabulous old white Jaguar. We ended up cleaning and detailing it, as it has been in storage since I moved to Lake Tahoe, then we dusted off my old turquoise silk jacket from the original ‘Here I Go Again’ video and I was thinking, "man, this is going to be fun!" 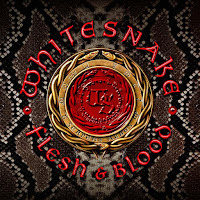 It’s a respectful acknowledgment and positive nod to the past, just fun stuff.” Joining Coverdale on Flesh & Blood is the powerhouse band comprised of Reb Beach and Joel Hoekstra on guitar, Michael Devin on bass, Tommy Aldridge on drums, and Michele Luppi on keyboards. Audio: "Hey You... You Make Me Rock"